A " how much do you know about this anime" quiz I made! How much do you know about Kerero Gunso? Take the quiz even if you never watched it and post your score here! My friends inreal life think the frogs in it are the cutest thing ever while I find them disturbing ._. Well, they are ALIEN frogs and aliens are kinda disturbing. I don't really find alien disturbing. 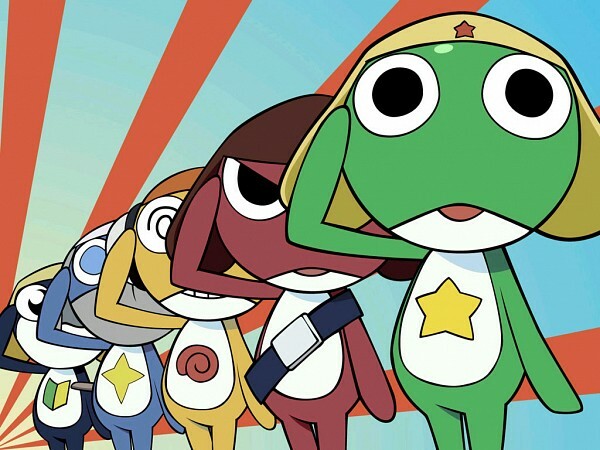 I just don't like the frogs in Kerro Gunso. The picture isn't showing. Subject: Re: A " how much do you know about this anime" quiz I made!